Buna 90D O-ring fitting the exact size of the machined breech grove in Diana/RWS 34 type airgun breech barrel. 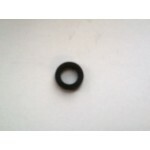 A firmer and less prone to nicking sealing member compared to the typical, softer 70D store bought O-ring. We will ship many seals together for the price it would cost to ship only one in the USA. 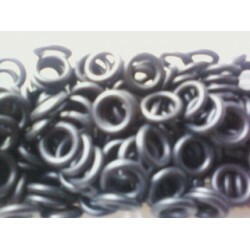 A harder, firmer sealing member then the typical softer 70D store bought O-ring. CNC precision made from HiY rubber, geometrically matching breech to barrel contact size, flexible easy install, these seals assure a pliability squeeze fit when at use providing a dependable transfer of all compressed air to the projectile. In addition to power, you may notice a softer shot cycle and noise compared to the needed replaced seal. Sometimes this is all the air gun needs to perform like it's new.